The life and work of Oskar Kokoschka (1886-1980) is a protest against monotony — the monotony of existence. Rüdiger Görner‘s biography illustrates the fascinating and contradictory versatility of this epoch-making artist. Oskar Kokoschka, who focused on those marked by life, achieved world fame as a visual artist and portraitist. 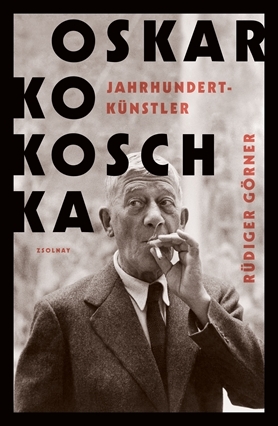 In his comprehensive biography of Kokoschka’s life, the first in thirty years, Rüdiger Görner presents the all-round artist Oskar Kokoschka: plays, letters and essays bear witness to the significant literary qualities of this great painter. Music was central to his work. And as a teacher, Kokoschka founded the “School of Seeing” in 1953. Despite serious injuries sustained during the First World War, Oskar Kokoschka lived to a ripe old age. Keeping very close to his work, Görner traces Kokoschka’s path from enfant terrible and starving artist to a wealthy cosmopolitan and seminal artist, who remained artistically and politically alert: by narrating Kokoschka’s life, his work is narrated – and vice versa. The first biography since three decades.